All 3 Skaur albums are now available on Spotify. Enjoy!!! 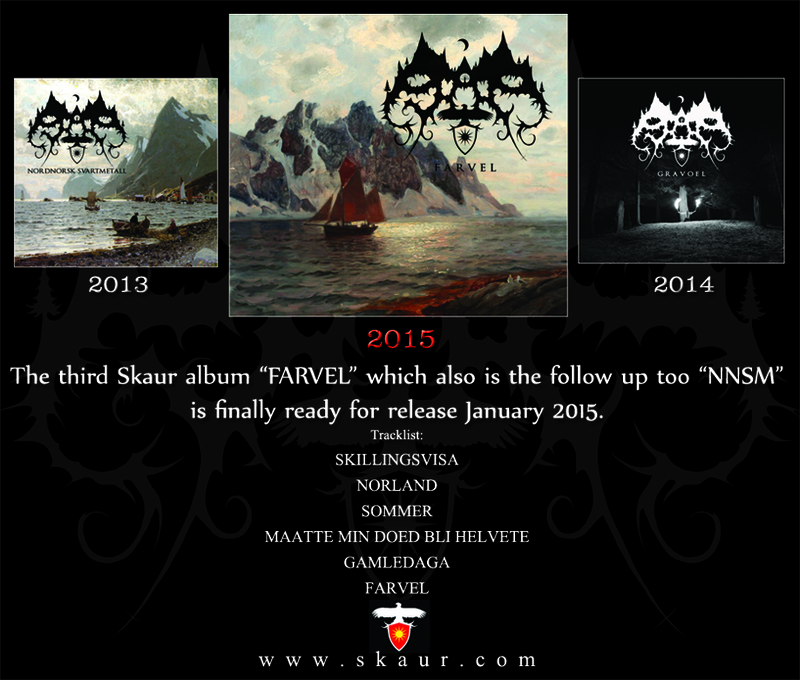 Skaur’s third studio album «FARVEL» OUT NOW!!! Skaur’s third studio album «FARVEL» is now available from DTB Records or directly from the band. 10 euro / 100 NOK includes shipment. The track «Farvel» from the new album! 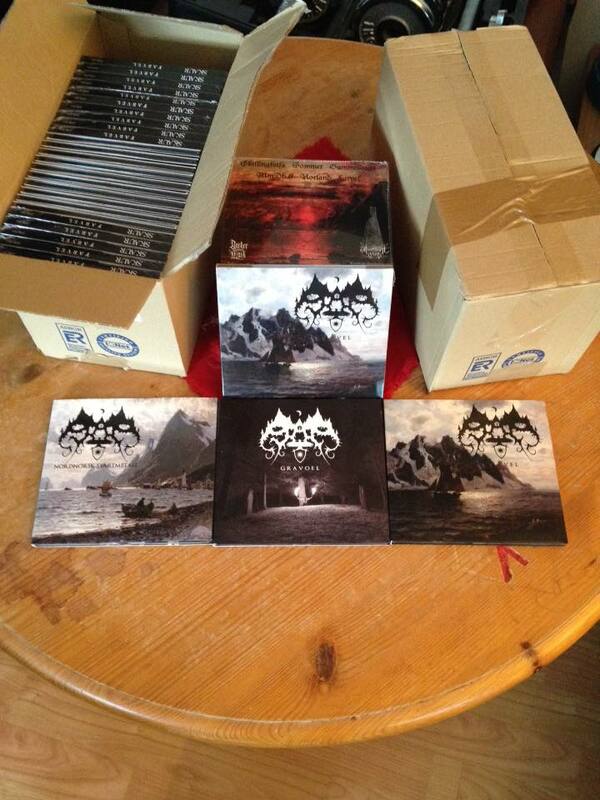 Download the Skaur – Gravoel album! 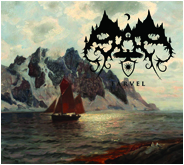 «Download the Skaur – Gravoel album HERE and get in on your phone or mp3 player. Get out of the house and listen (LOUD as hell of course), and (hopefully) experience the feelings, sorrows and sensations THIS album more than the previous and the next one plays upon and really demands from the listener. If you understand the Norwegian lyrics or not I believe really doesn´t matter on these songs in particular. Because if you for whatever reason like Skaur you are definitely already familiar and open to interpret its above mentioned atmosphere and meaning. «Farvel» skiva sendt i trykken! Skaur´s tredje skamverk «Farvel» er herved sendt i trykken. La oss få presentere litt sommerstemning mens man avventer lysere tider! 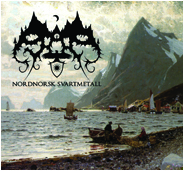 The label Purity Through Fire will release a Vinyl Edition of «Nordnorsk Svartmetall», «Gravoel» and the new yet unreleased album «Farvel» during 2015. «Skaur – Ei Hymne tell Dauen» is back on youtube! Gravoel album 2nd place Best BM releases 2014! 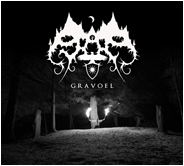 Lyrics for the album «Gravoel» can be found HERE!